I’m here to change your world when it comes to salads with my new favourite greens! Lettuce begin, shall we? 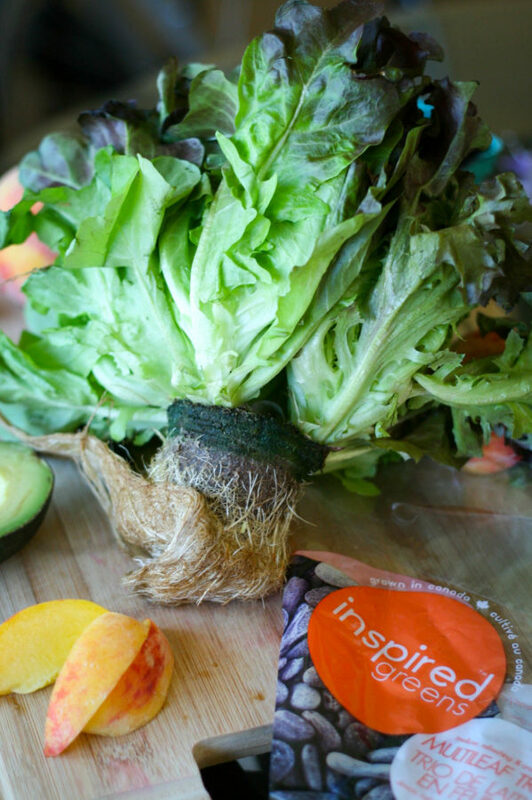 Have you ever tried Inspired Greens living lettuce? 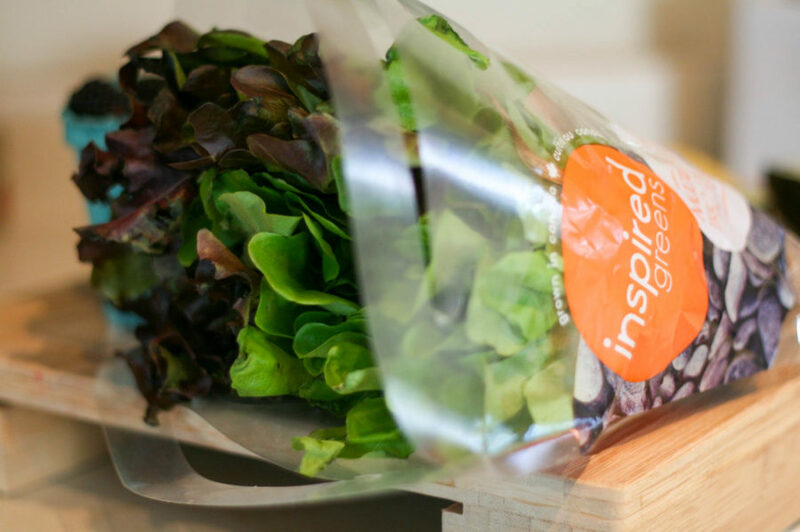 This isn’t your regular grocery store lettuce – it has 3x more leaves, it’s ready in one chop and stays fresh for longer. It’s ALIVE! Just look at the roots on this baby. You all know I’m about that fresh produce and this is as fresh as it gets. #Inspired Greens has several types of beautiful living lettuces from romaine to butterleaf and batavia leaf. 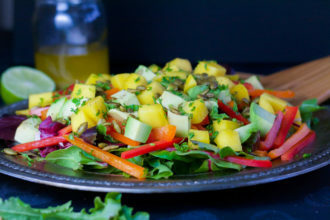 I was in the mood for a summer salad so I grabbed the Inspired Greens multileaf trio lettuce to use as my base. I headed down to Granville Island to pick up a few other local ingredients and I got to work. 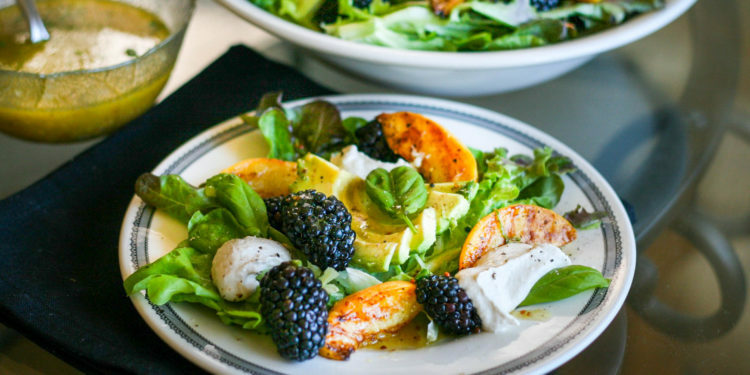 This salad is everything SUMMER. 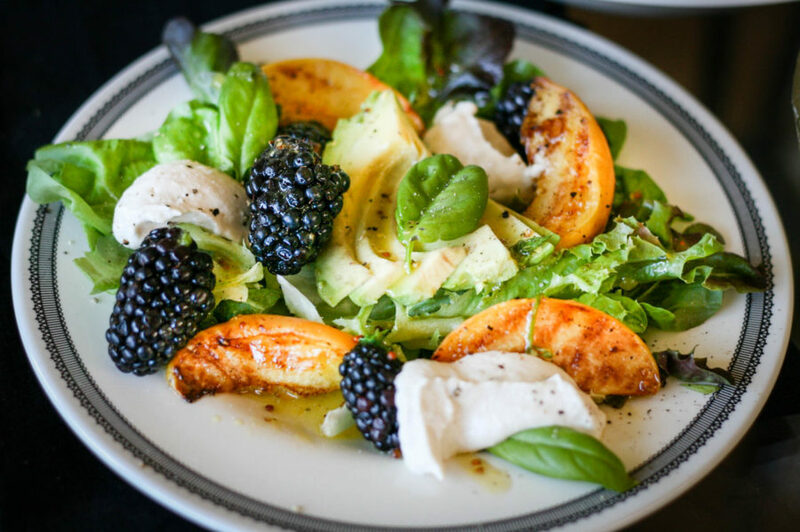 It has fresh, sweet, local berries, creamy cashew chevre, grilled local peaches, buttery avocado and of course that fresh, crisp living lettuce. 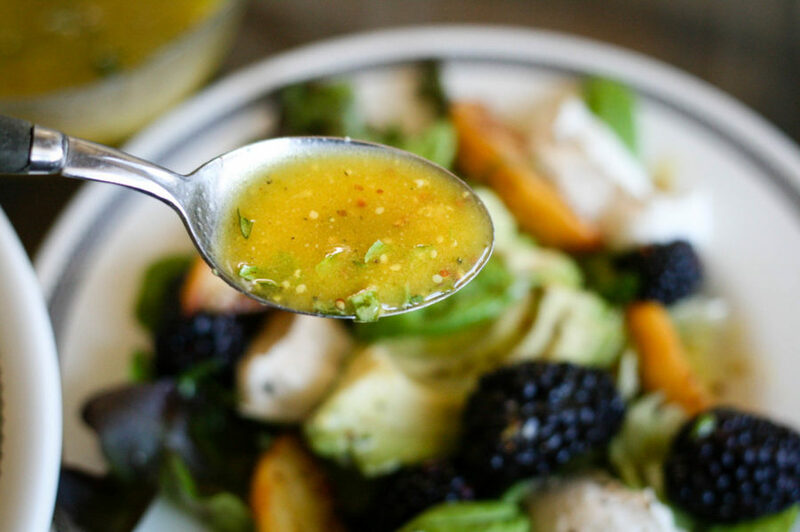 The dressing is a mustard vinaigrette with just enough tang and sweetness to balance everything out. 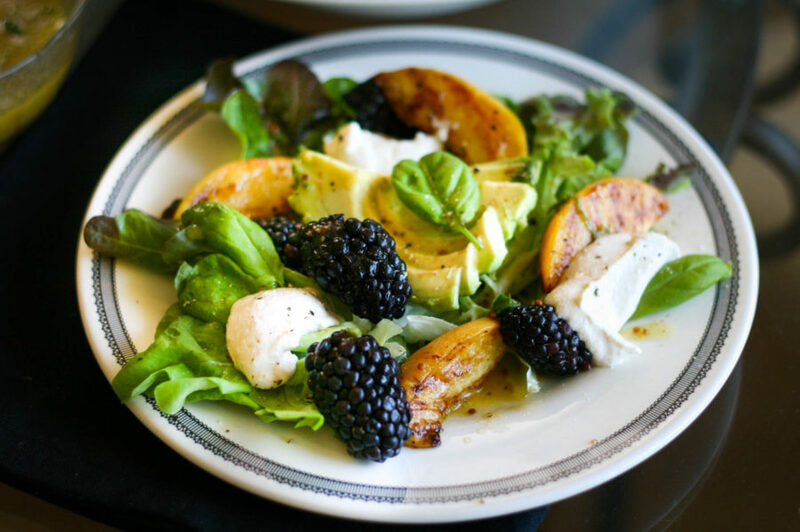 There is a little prep work involved in this salad-grilling the peaches and preparing the chèvre, mainly but if you bring this dish to your next BBQ or potluck, I guarantee that everyone will go crazy for it! It’s plant-based and gluten-free. Enjoy! 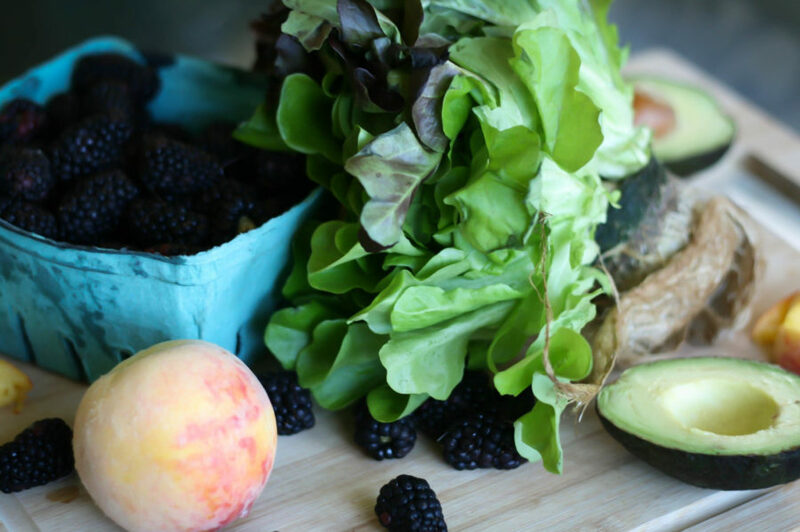 A recipe for a fresh, summer salad using Inspired Greens Living Lettuce. 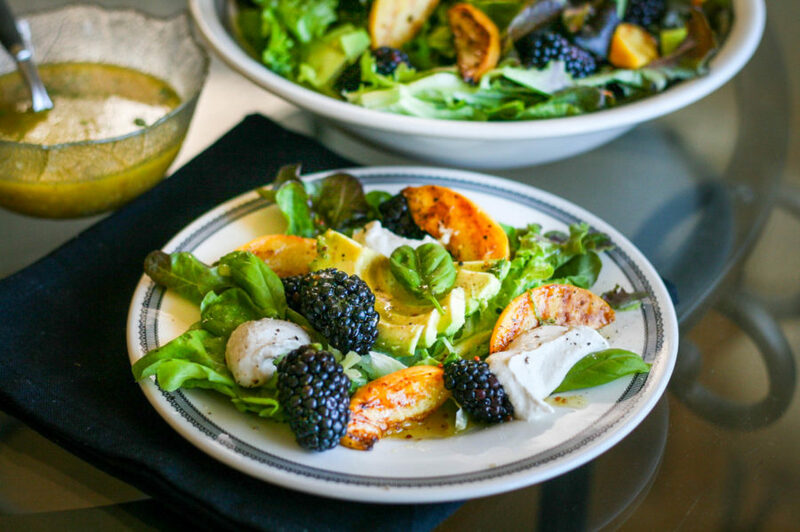 This salad features local produce in the form of blackberries and peaches and is tossed with a tangy, sweet, mustard vinaigrette. Soak cashews in cold water for 6+ hours or overnight. Drain and rinse thoroughly. 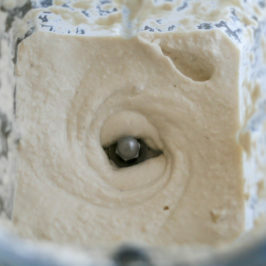 In a high speed blender, combine soaked cashews, sea salt and 4 tablespoons of water. Blend until smooth. If more water is needed to reach a smooth texture, add 1 tablespoon at a time. 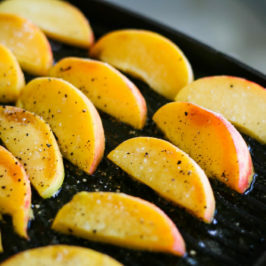 Slice peaches into thin slices and brush with olive oil. Heat a grill pan or BBQ over medium heat. 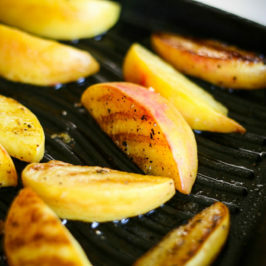 Place peach slices on the grill and sprinkle with salt and pepper. Grill for 2-3 minutes on each side. Set aside to cool. 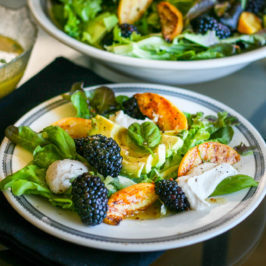 Toss the Inspired Greens living lettuce, blackberries, avocado and grilled peaches together with the mustard vinaigrette. Top with small dollops of cashew chevre. Enjoy! Disclosure: This post was sponsored by Inspired Greens but all views and opinions are my own.